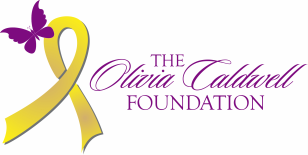 The Olivia Caldwell Foundation is a 501c3 nonprofit that was founded by Brett Caldwell and Katie Caldwell-Burchett in November 2013 to honor the life of their daughter, Olivia Caldwell, who passed away after a 16-month battle with brain cancer in October 2013. She was only 20 months old. Our mission is to provide funding for childhood cancer research and programs to improve the lives of children battling cancer. Our primary affiliation is with Children’s Hospital Colorado and the neuro-oncology research team headed by Dr. Nick Foreman. To learn more about the research team please click here. MRI confirming Olivia's cancer had returned. Fund life-saving research to find a cure for pediatric brain cancer and other childhood cancers. We will do this by funding specific research teams to cut down on the amount of time they have to spend fighting for grant money. To raise awareness of the need for pediatric cancer research and the prevalence of childhood cancer in today's society. Give gift cards for food, entertainment, gas and other miscellaneous expenses to children battling cancer at Children's Hospital Colorado. This gift card distribution occurs each May. To work with other organizations in Wyoming to expand upon the pediatric oncology services available in Casper, WY to cut down on the travel necessary for the patients and their families.